It’s easy to feel alone in your pain and being surrounded by women who have endured similar experiences was healing in itself. If you feel drawn to this even just a little bit then do it! This workshop provides a safe space for women who have experienced sexual trauma to begin to reclaim their bodies through the healing practice of Kundalini Yoga. Using breath, gentle movement, meditation and mantra, you will learn to tap into your own healing power. The exercises were very gentle but they let me tap into a powerful part of myself that felt whole, beautiful and strong. I left the class feeling lighter. I still have more to do for my own personal recovery but the class showed me what is possible. Led by Jerry, a survivor and activist, trained in trauma-sensitive yoga. She is passionate about helping other women survivors to rebuild their relationship with their body, mind and emotions. Jerry is a really excellent facilitator. She ensured the class was a safe space so all could share openly and within their own level of comfort. I can’t recommend this workshop enough. I didn’t have any expectations before I started but afterwards I knew this workshop worked it’s magic and helped contribute towards my healing. Jerry has been practising yoga for over 4 years and completed her 200HR Kundalini Yoga teacher training in India in 2016. 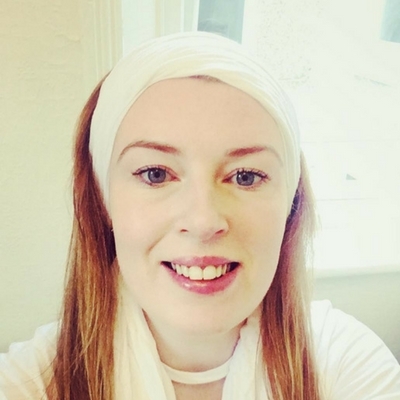 She specialises in teaching with a trauma-informed approach, and is passionate about making yoga available to everyone, regardless of socio-economic background. Jerry offers classes and workshops across the North East, trading as Yoga With Jerry.